Microsoft has been showing off some seriously gorgeous trailers this year at E3 for games like Forza Horizon 4 and Halo Infinite. Now we have yet another dazzling new trailer for the next installment in the rebooted Tomb Raider series. 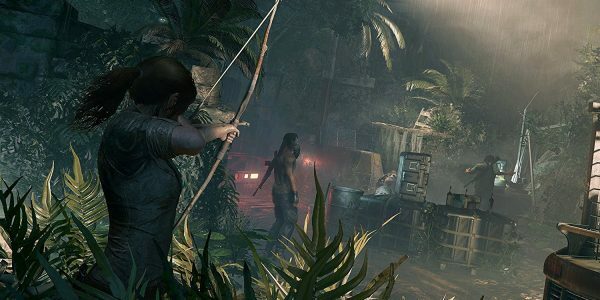 Called Shadow of the Tomb Raider, the game looks seriously impressive. Around $100 million has gone into its making. You’ll notice that there’s nothing in the way of gameplay footage—which is unfortunate. But it’s hard to fault Microsoft for wanting to keep the focus on the amazing cinematic sequences. It watches very much like a trailer for a Hollywood action movie. The dialogue excerpts seem to put a strong emphasis on character development, which is great to see. In terms of story, the trailer shows Lara taking some kind of artifact, which in turn seems to cause what looks like a cataclysmic flood. The overarching narrative concerns her mistakes. So it will be interesting to see how this adds to her growth as a character following off of the previous two games. Shadow of the Tomb Raider is being developed by Square Enix, and will be released on September 14th for PS4, Xbox One and Windows PC.